Closes Noon, GMT, Friday 11th August. 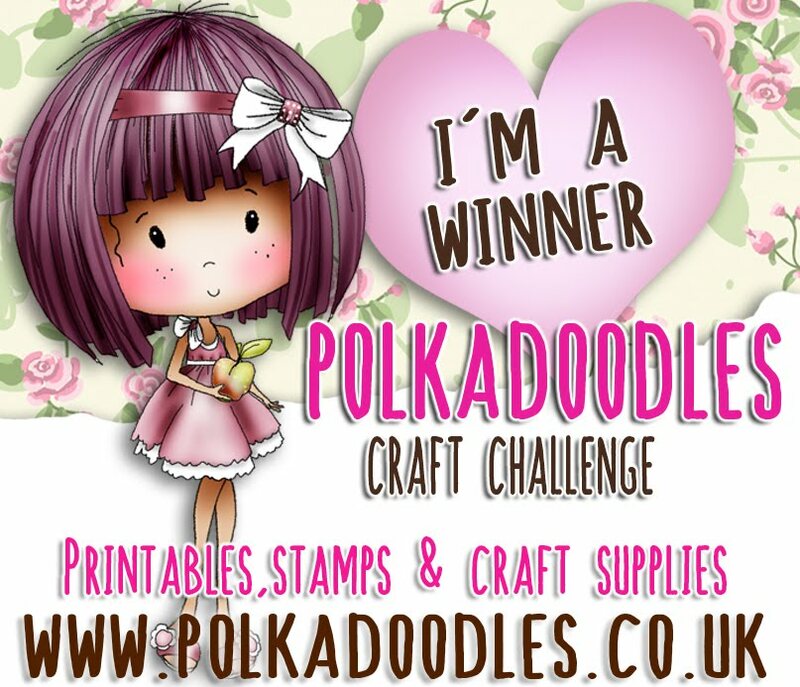 Our random winner will receive a $10/£7.50 voucher for the Polkadoodles Digi Store. Have you seen all our wonderful new releases in store this week? 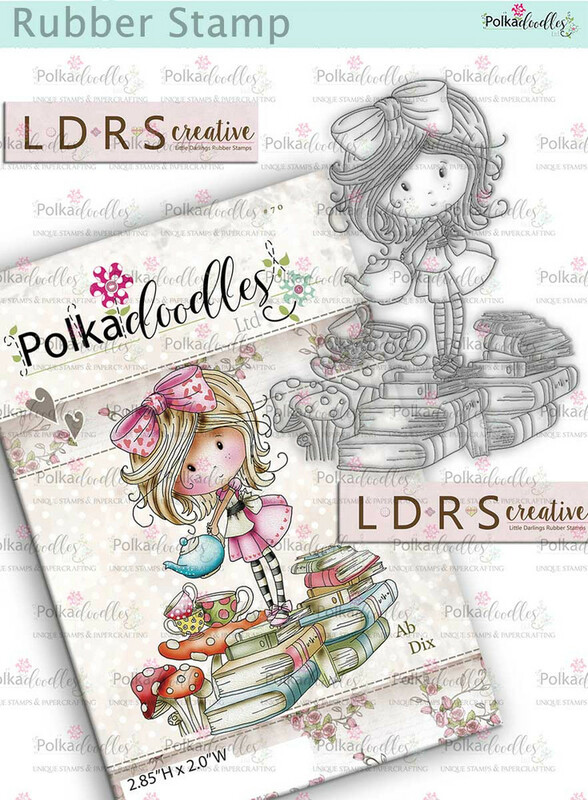 We have so many new rubber and clear stamps, paper packs, digis, digi scrap kits all in store and released over the past couple of weeks so make sure you check them all out! 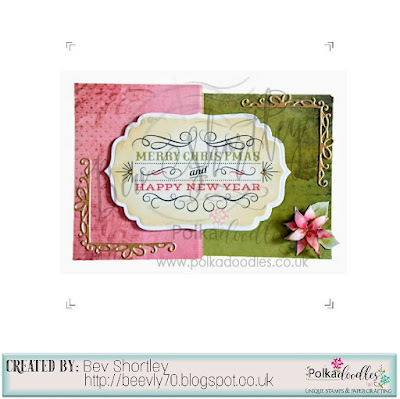 Angie J - So I had some Christmassy fun with a Winnie Winterland Collection Design Sheet. I used Design Sheet 7 and repurposed a lolly jar and a notebook. It's hard to tell on the notebook, but the flowers have been shaped a bit for a slight 3D effect so they don't sit flat on the cover. 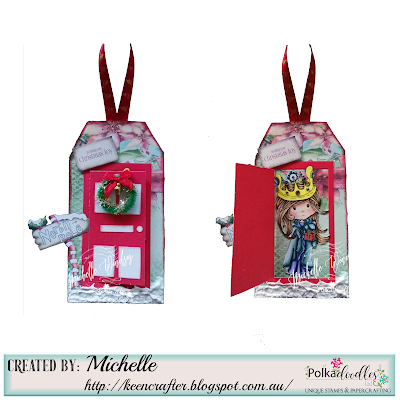 Michelle I have used Winnie Winter Land Collection I have made another tag using a digi image and coloured with copics I also used the Versatile Door / Window / Flap Die to make the door and it opens to see a snow princess. Bev here and I couldn't resist a play with Robin Cuddles this fortnight, aren't they adorable? I had a go at water colouring. I think I need a bit more practice but it certainly gives a different look. 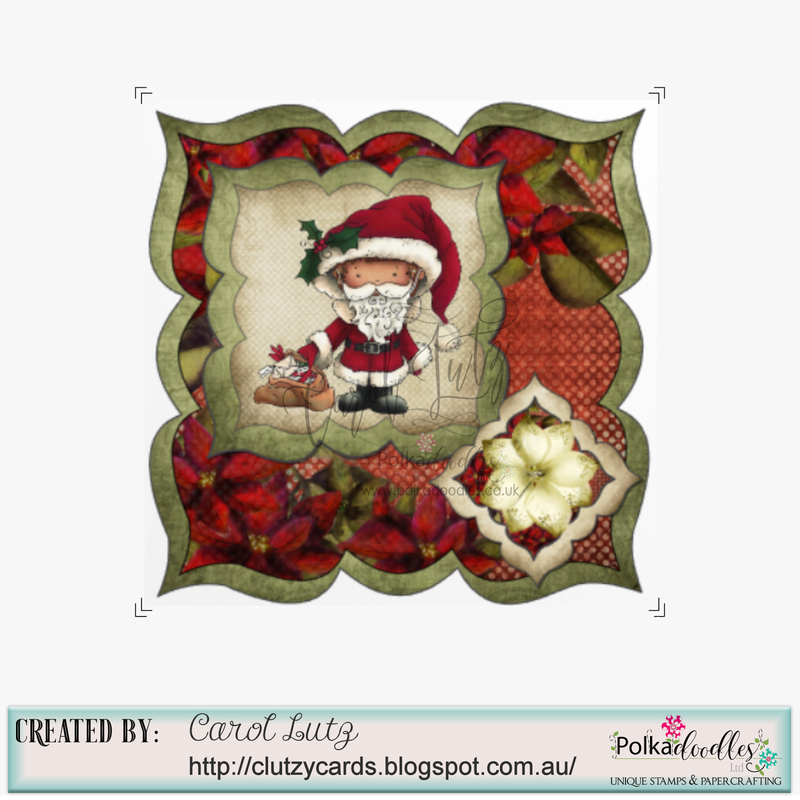 The papers and sentiment are from Festive Christmas and the additional holly embellishment is a stamp on the Santa Claus set. 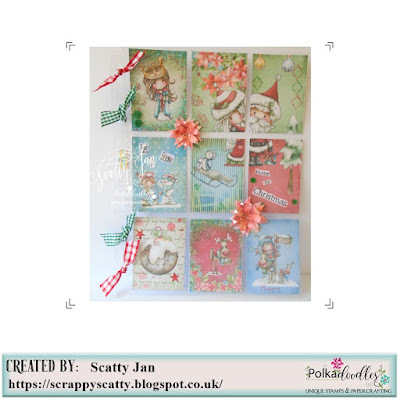 Scatty Jan for my project this week I made another pocket letter, I do love these there so much fun putting together, I mainly used Winnie Winter Land Collection adding in a few stamps from regal peacock set , I do love how everything will work together. 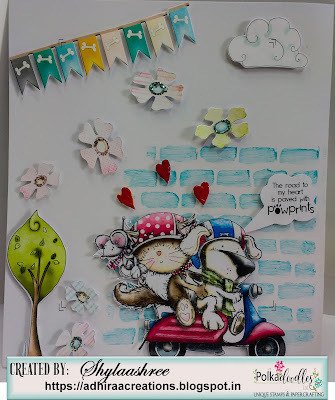 Anjie - To make this I've used the fabulous Baked With Love Collection, again! You can also get this in download format should you want it right now. Lots more details on my blog. 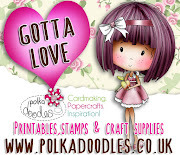 Claire C - I've been playing with the gorgeous Regal Peacock stamps to make my Christmas project, those feathers make fantastic Christmas trees with a few glittery baubles! Lou: Inspired by all the snowflakes created using the Regal Peacock stamp soup set, I had to have a go myself. I've teamed up my projects with Elegant Nest and Ribbon Gift die sets.More details on each card can be found on my blog. Lots of fabulous creations to inspire you as always! 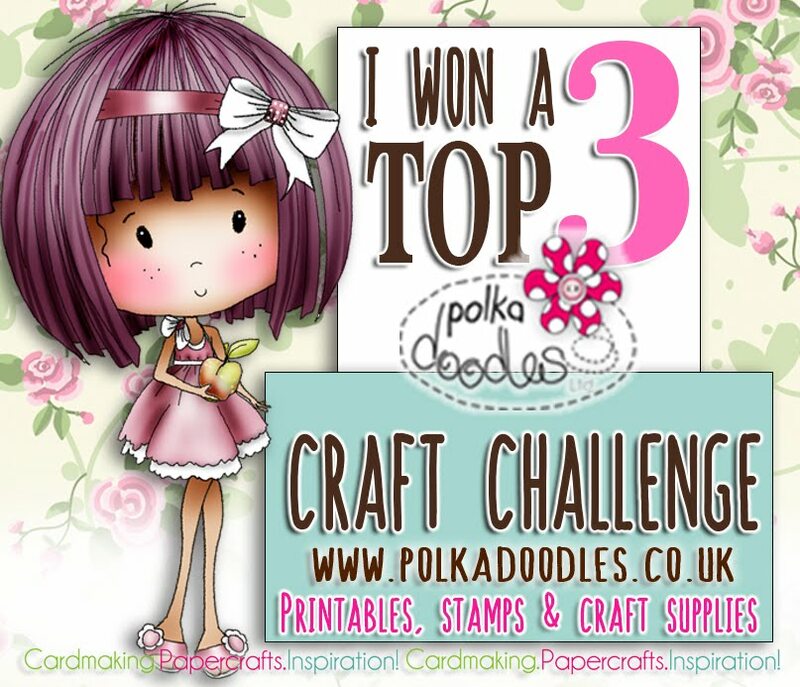 Our Winner and Top 3 of our Anything Goes Challenge Weeks 28/29 will be announced next Friday. Closes: Noon, GMT, Friday 28 July to enter. Tina: I´ve made a door wreath for you. For that i have printed the beautiful Winnie Winterland Paper and cut a lot of stars out of it. The stars were folded in 3D and then glued to a cardboard ring. In the lower center I put then Mr. & Mrs. Claus, colored with Polychromos and applied some glitter. I like the whole Winnie Winterland Bundle very well. But the selection is really not easy. Bev here with a flip flop card. 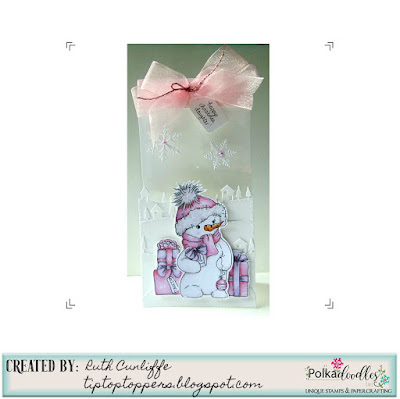 I use Winnie Winterland and Ribbon/ Gift dies to decorate. Angie J - I've made some gorgeous Name Place Tags for Dinner table using Winnie Winterland Collectiion. I've used 2 Digital Papers from the Winnie Winterland Papers Collections Paper Haven 7 and Paper Haven 3 for the Rosettes and Name Place matting. Also used the Design Sheet 13 for the Toppers. 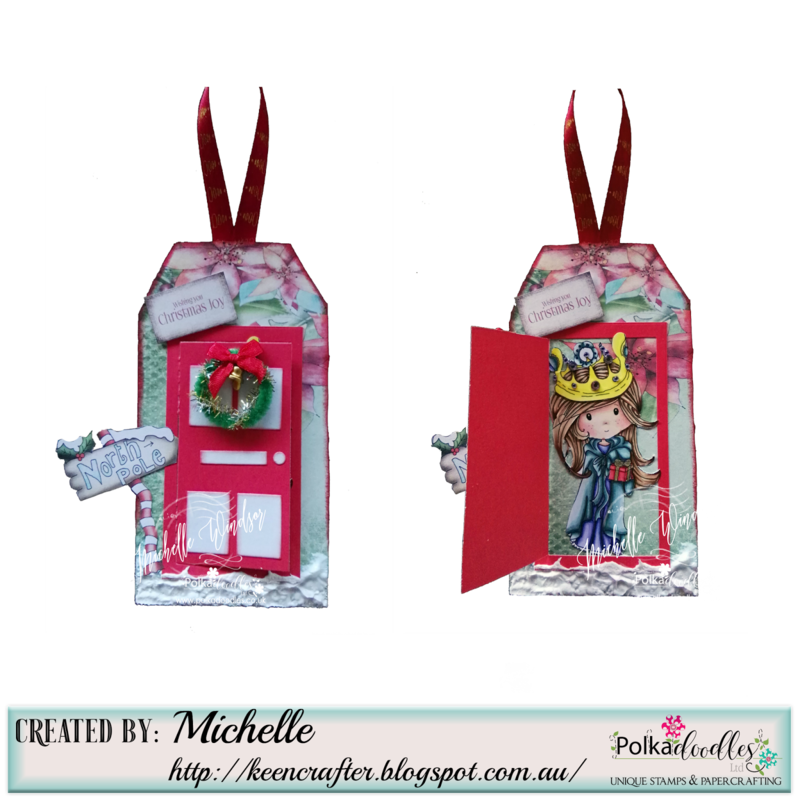 Michelle - I have used Festive Christmas Collection I have used the pre coloured images and tag and just added some glitter and some Chrissy lights. Scatty Jan - For my card this week I have used the wonderful clear stamp set Christmas Poinsettia/Holly. I stamped the poinsettia twice so I could raise a few of the petals. 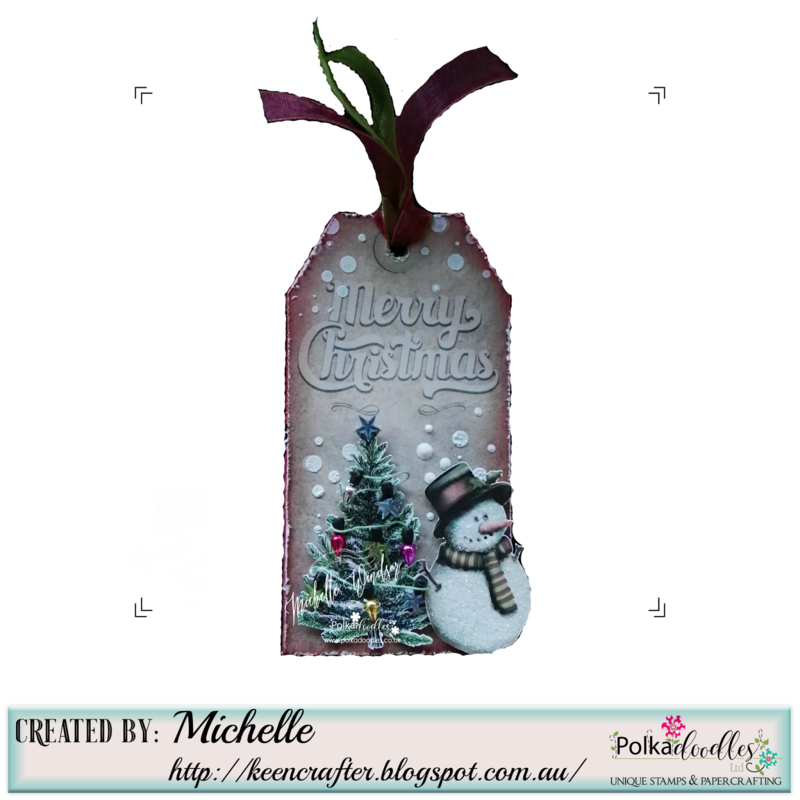 Claire C - I've altered an old clock to make a shaker Christmas Decoration. I coloured the image with Lyra Pencils, it's called Skating Around and you can find it as a digi here or you can get the whole Winnie in Winterland Collection here. I cut the image out, layered it over one of the beautiful backing papers with 3d foamm and added some hills made with torn paper and glitter. I popped in some 'snow' and replaced the glass of the clock with acetate. To decorate the outside of the clock I used white crackle paint and made lots of flowers with foamiran and Polkadoodles cutting dies. I used Flower 1, Flower 2 and Flower Flourish. Closes Noon, GMT, Friday 28th July. 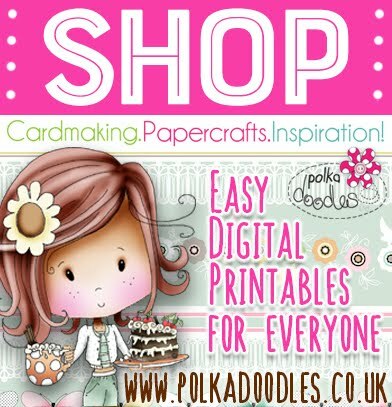 Prize: $10 voucher to the Polkadoodles Digi Store. - don't miss these, they are selling fast and we have limited stocks - once they're gone, they're gone! Norma.- For my first project as a DT in Polkadoodles, I decided to make a winter card that hides a gift card, I used MissPretty that was released in June and some of the trees for the kit Winnie Winterland I colored it with my copic markers. I think that it can be super cute for a little girl. 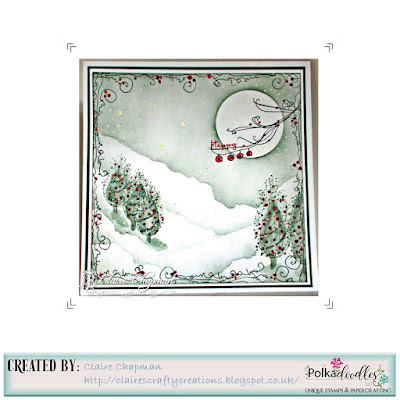 Ruth: I've used one of the soon to be released Christmas stamps! I've combined Frosty The Snowman with the Christmas Gifts stamp. All coloured with Promarkers and added to an acetate card. 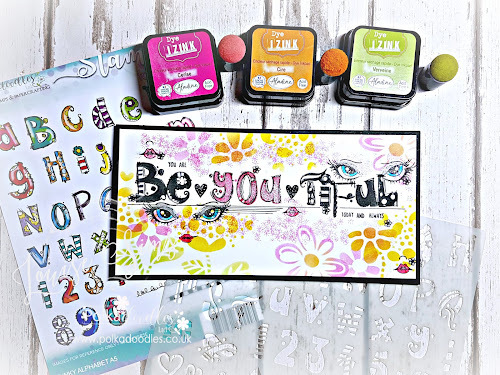 Such cute stamps and perfect for kids! Helen - Christmas will soon be here so I'm starting on the gift bags for those pressies and you can't beat this little Owl Gift Bag. 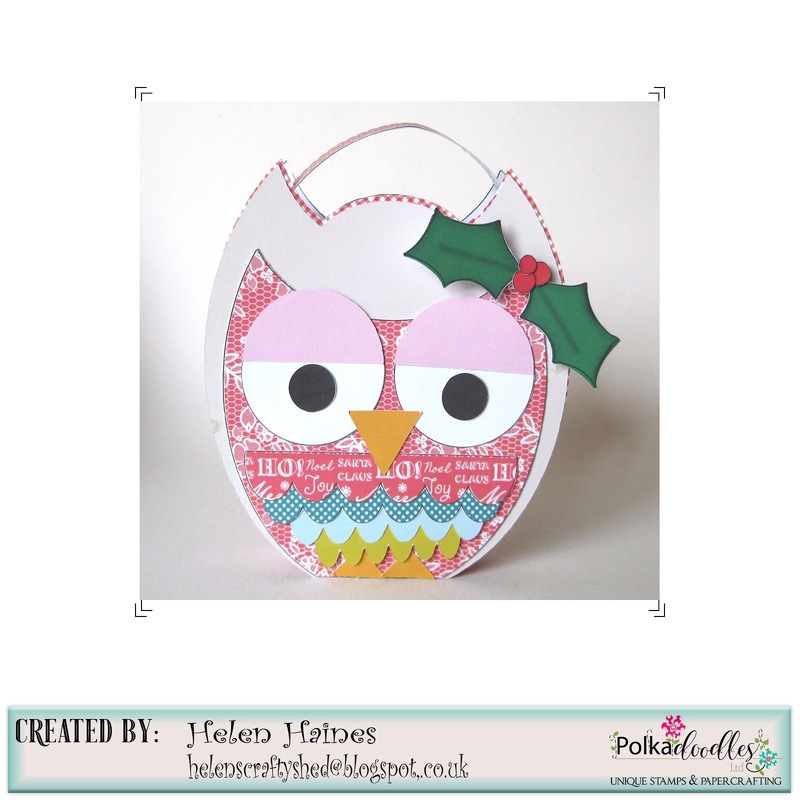 It's a template from the Twiggy and Toots Festive Fun Collection, bet you didn't know that was there and soooo easy to make, just print , cut and stick!! You can find it right here. 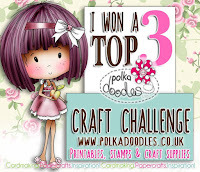 Karon - I have used the fabulous new Polkadoodles Stamp sets on my card today. The Christmas Poinsettia/Holy set and the Christmas Santa Claus set. 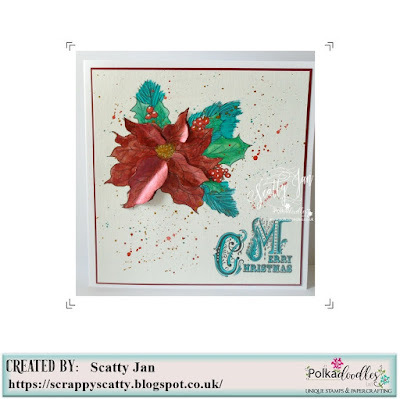 I am not one for colouring, so I stamped the Poinsettia out several times on green then red papers (my papers are from the wonderful Festive Christmas collection), then I fussy cut the poinsettia and layered it up with some foam tape. Then stamped the sentiment onto the blue paper - perfect. 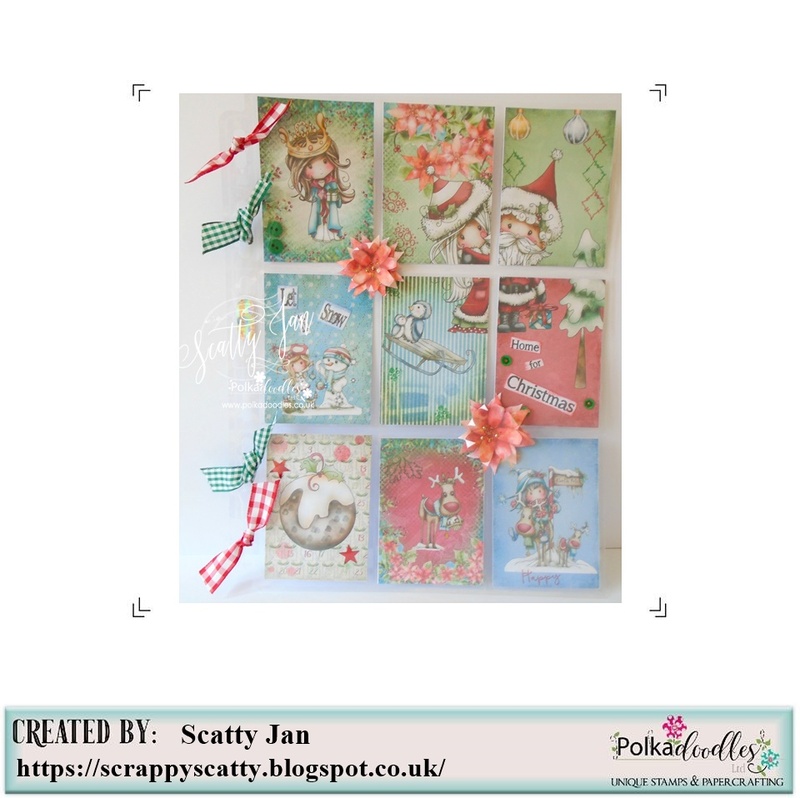 Carol - Today I have made a Christmas card with papers from the Festive Christmas collection and topped it with Hollybobs Santa from the Work and Play 5 - Festive Hollybobs collection. To make the cutting out easier, I combined Hollybobs Santa and the background paper he is on before I printed it. Then I used some nesting dies to cut each layer before assembling the card - so it was much easier than fussy cutting Hollybobs Santa, though I did fussy cut the flower. 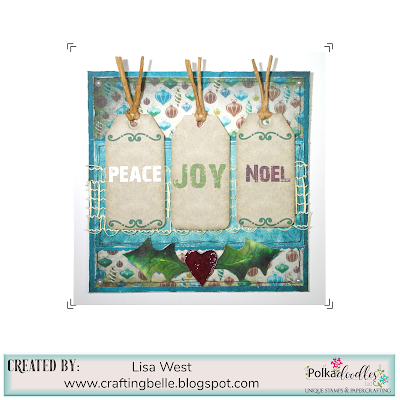 Lisa - I have made a card today using papers and embellishments from the Festive Christmas Download. 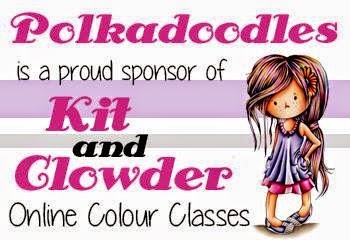 Craftica - Today I used Winnie Winterland - Design Sheet 13 to create little messages to add to my daughter's classmates little presents for the last day in school, I'm working on everything ahead of time as she usually gets a lot of brilliant ideas the night before going on Holiday. Shylaa - I have fallen in love with Ula's Life. 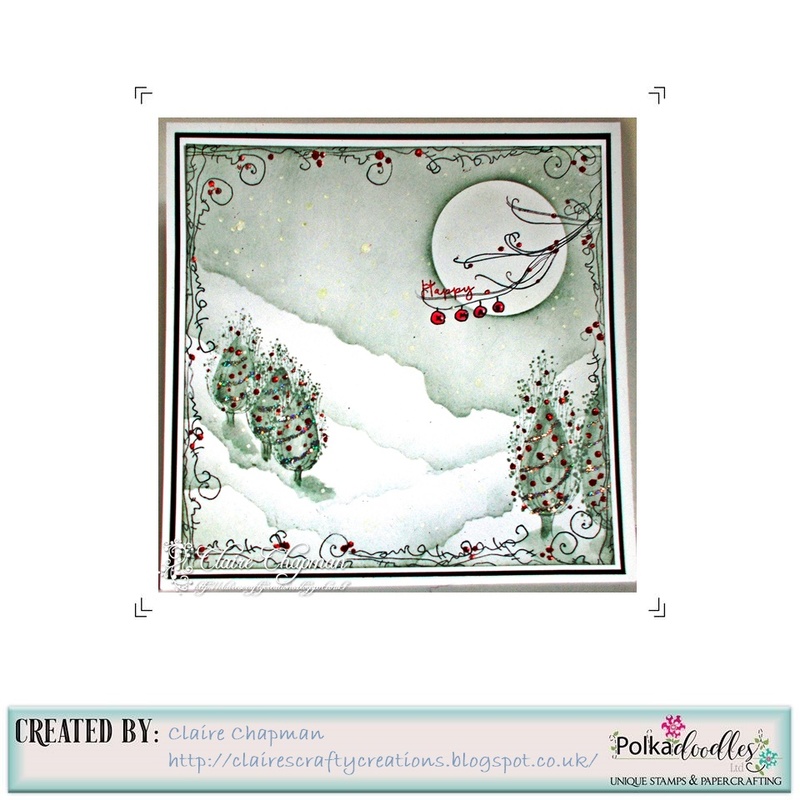 I have created a Christmas card with Ula life journal stamp. Adhered the pattern paper to the card base. Added the postage die cut panel above it with foam tape. Tied a twine around it. 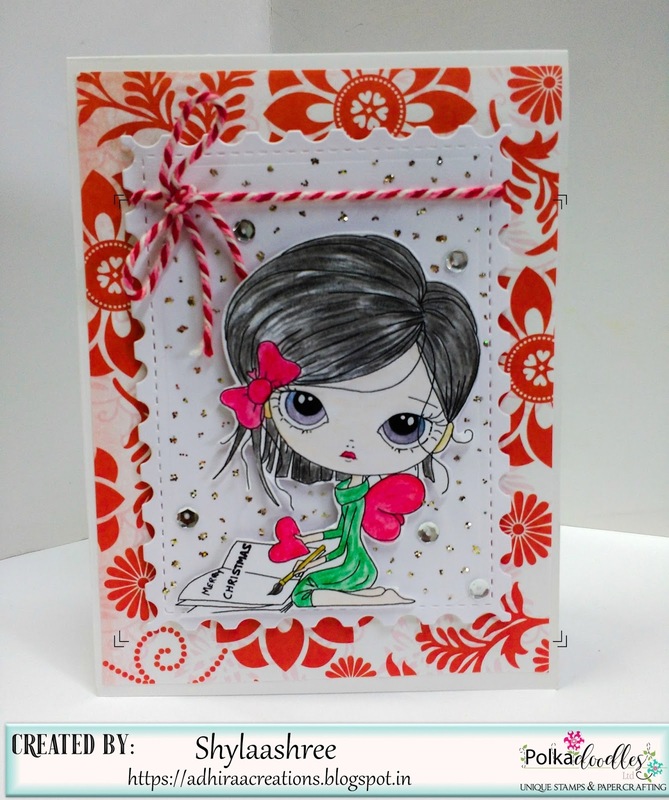 Decorated the diecut panel with 3d stickles and sequins.The Ula image is water coloured with staedtler colour pencils and did a fussy cut and adhered to the diecut panel. You have until Noon, GMT, Friday 14 July to enter. 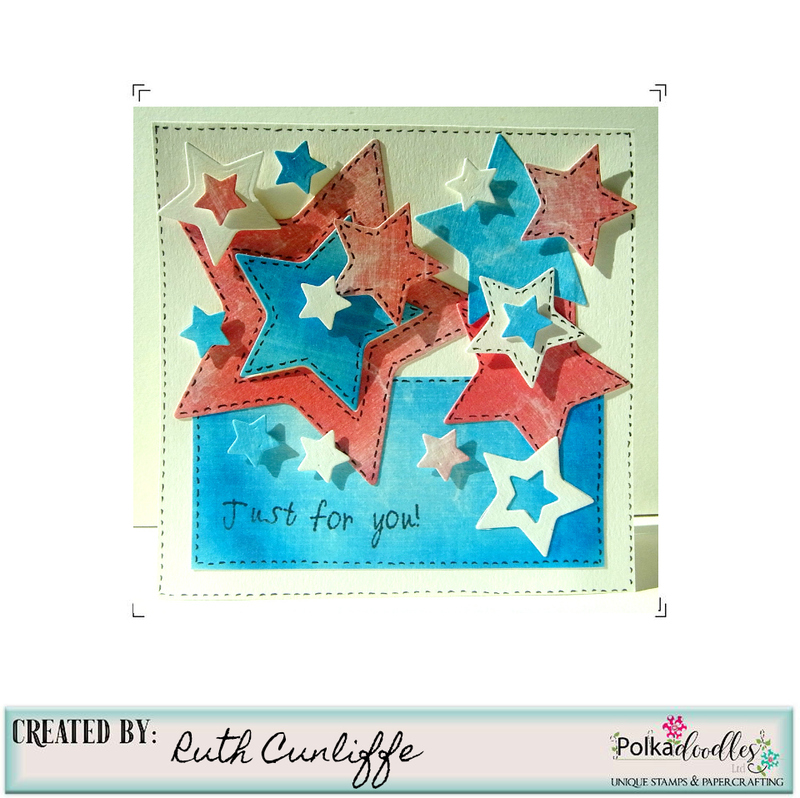 Ruth: I've gone for something simple - using papers from Winnie Starfish and Sandcastles - the plain papers, I've cut lots of stars and added them in an explosion! A little bit of faux stitching with a black fine liner and the card is complete! 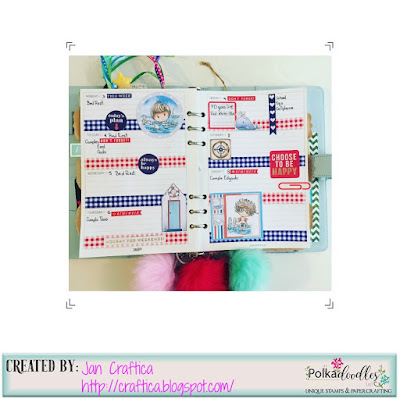 Jacki - Lil' Miss Sugarpops is one of the cutest collections I think. for my card I have used one of the precoloured images to make a Happy independence Day card the papers are from the Winnie special Moments collection you can find Lil' Miss Sugarpops Here and Winnie Here. 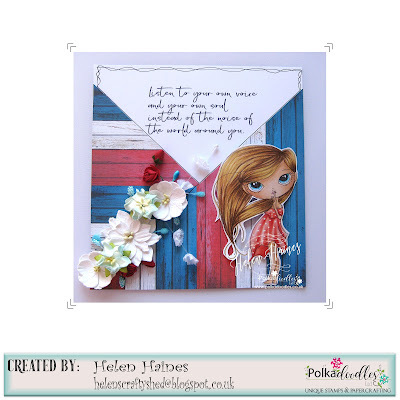 Helen - Ula's life, such a fabulous collection of lovely images I used her with some red, white and blue papers from the Winnie Starfish and Sandcastle collection to. You can find Ula here I just love her sweet little face just adorable. using colors Blue Red and White just in time to get into the July mood I used the Winnie Starfish/Sandcastles Design Sheet . Just had to print cut and use to decorate my planner weekly spread. Carol - For my inspiration this week I've used some background paper from the Winnie Starfish and Sandcastles collection and added a pre-coloured image from the Horace and Boo collection - Scooting Around. 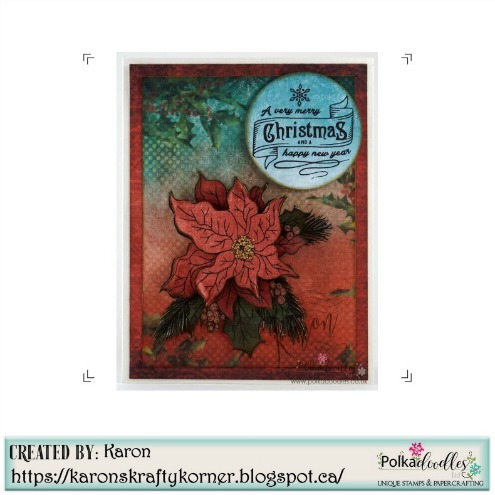 Karon - I have used the wonderful download collection of Daisydays. All the elements are from this collection. I have layered up the papers and then added some dimension to the flowers. All the edges of all the layers have been inked. 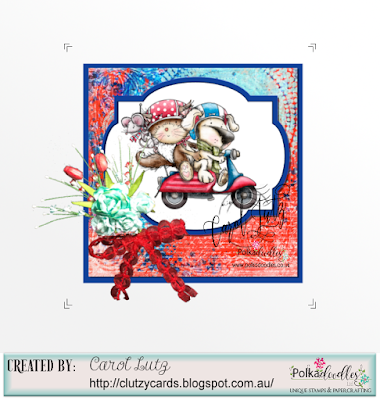 Lisa - I have got Christmas on my mind already so I've used the Work & Play 5 Festive Hollybobs Full Download Collection to create a Red, White and Blue Christmas Card.